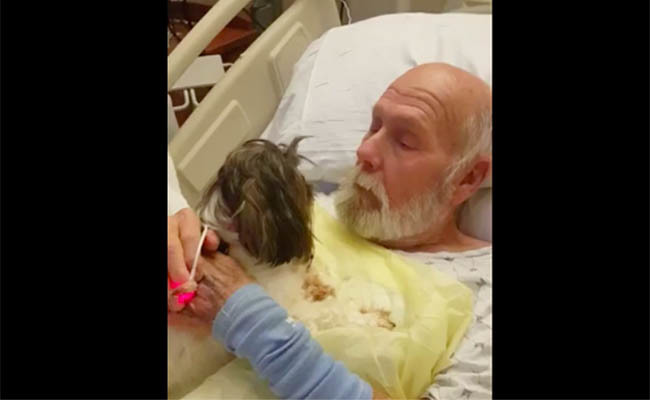 This dog’s grandpa is in the hospital, and she is so sweet and snuggly with him. Is there anything more healing than puppy therapy? A dog's unconditional love is the best medicine a person can get. Even when everything is going wrong, dogs think you are wonderful. Thank you for sharing this video.